These slip-ons by Justin and Reba have a black textured upper with a gorgeous serape side and back. Perfect for on the go. Cushioned insole for all day wear. 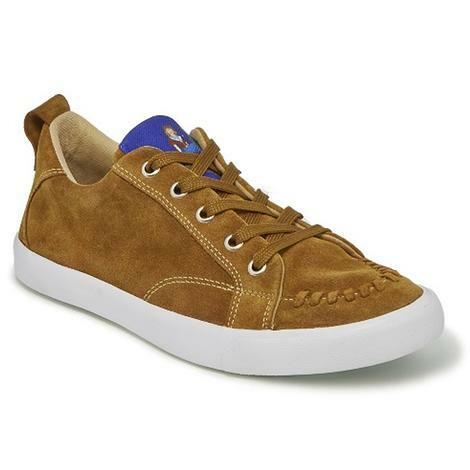 This casual shoe is rich with western flair from every angle. Suede combines with whipstitched accents to give the Kiowa a comfortable, down-home look that's sure to turn more than a few heads. 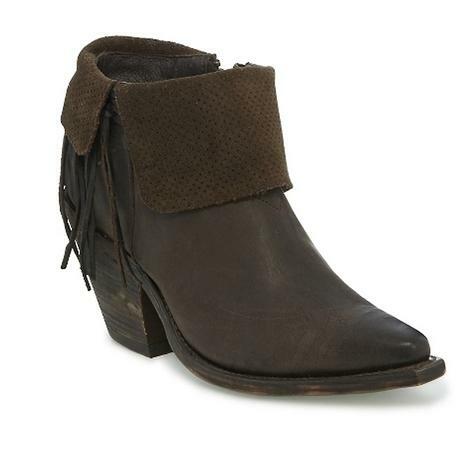 These gorgeous espresso boots by Reba from Justin are a must have! The perforated suede cuff detail adds textural interest, while the cascading fringe lends alluring western charm. Add these to your collection today. These cowhide shoes are an absolute joy to wear! 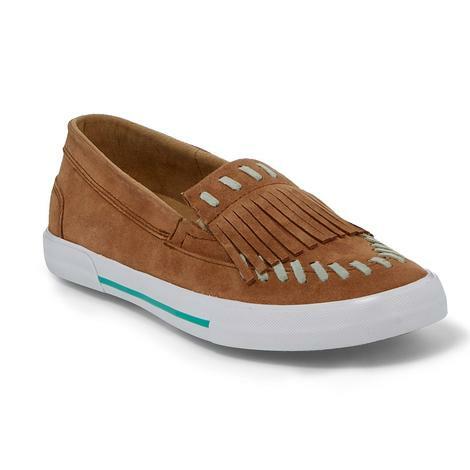 From the moccasin-inspired whipstitched toe to the fun, unexpected serape print accent, this unique, laid-back look is all about the details! 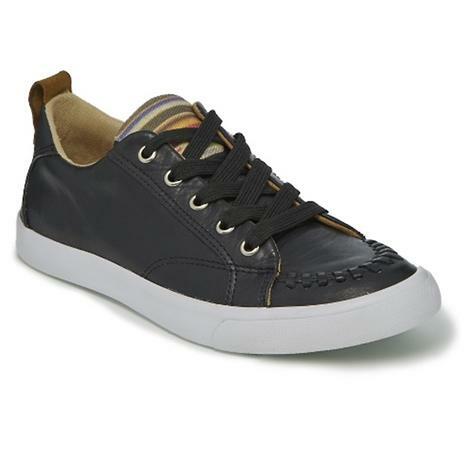 The cushioned insole provides maximum comfort. 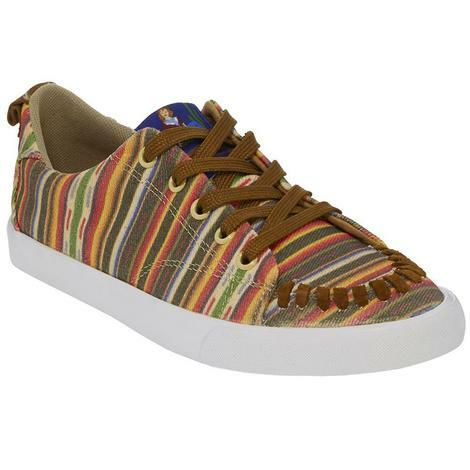 These canvas shoes have a gorgeous sunny serape print. Other features include leather whipstitching and a playful drawing of Reba, sittin' on a fence post in a retro, pin-up girl inspired pose. 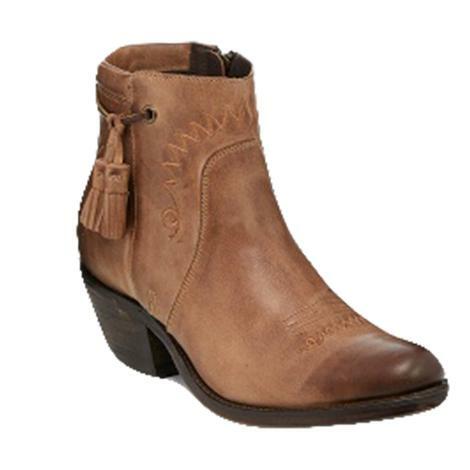 This casual shoe is rich with western flair from every angle. Suede combines with whipstitched accents to give the Oakie a comfortable, down-home look that's sure to turn more than a few heads.